For sustainable use and suitable management of larch plantations, we must clarify the ecophysiological responses of larch species to environmental changes. The physical environment has been changing dramatically, e.g., increase in atmospheric CO2 concentration ([CO2]), nitrogen (N) deposition, and atmospheric ozone concentration ([O3]), and these changes may negatively affect growth of larch species. 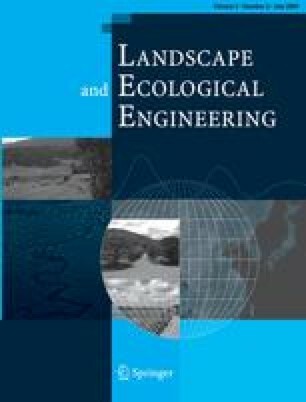 This review summarizes the previous experimental studies on the ecophysiological responses of larch species to elevated [CO2], soil acidification, elevated [O3], and N load. Based on the advanced studies, although elevated [CO2] will stimulate the productivity of larch, increase of [O3] and severe soil acidification will reduce it. Increase of N deposition, at least, will not negatively affect larch productivity. Finally, we propose the future direction for investigation to understand the mechanism of the responses of larch species and to predict the associated risk. We thank Dr. Ali M. Quoreshi (Symbiotech Research Inc, Canada) for critical reading of the early draft of this manuscript and Prof. M. Kaneko (Rakuno Gakuen Univ.) for providing the digital map of larch plantations in Hokkaido. This review is a contribution to the joint research project among the Ministry of Environment, Hokkaido Electronic Power Supply, and Hokkaido University, “Carbon Cycling and Larch Growth” experiment. Financial support in part was made by a Grant-In-Aid of the Japanese Society of Promotion of Science (type B to T.K. and PD to M.W. ).